You can also find a tavern and a shop where we sell organic produce from our fields: beans, potatoes, cabbages, fruit and also jams, syrups and pickles. 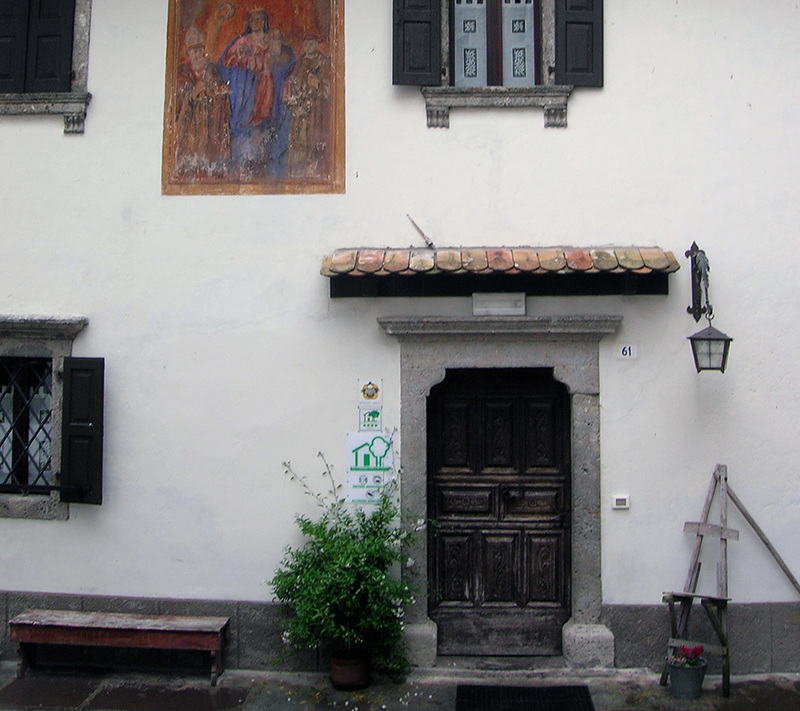 Our family, with hard work but with great pleasure as well, has restored an old house built in 1600, turning it into a welcoming mountain farmhouse, where we offer accomodation in ten comfortable rooms. 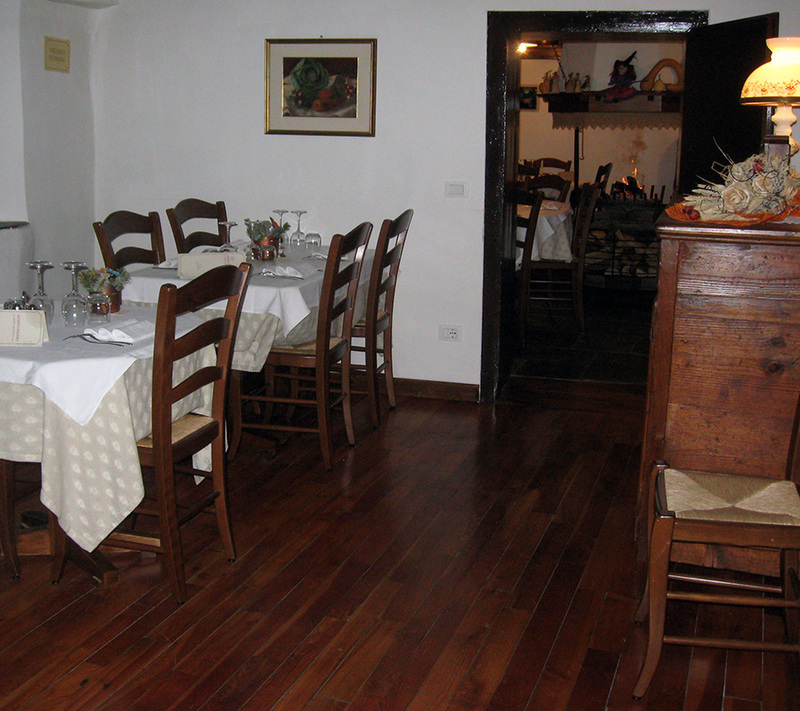 Our restaurant is housed in four lovely rooms, with original frescos and local stone floors, and hosts a typical “fogolar” (open fireplace). 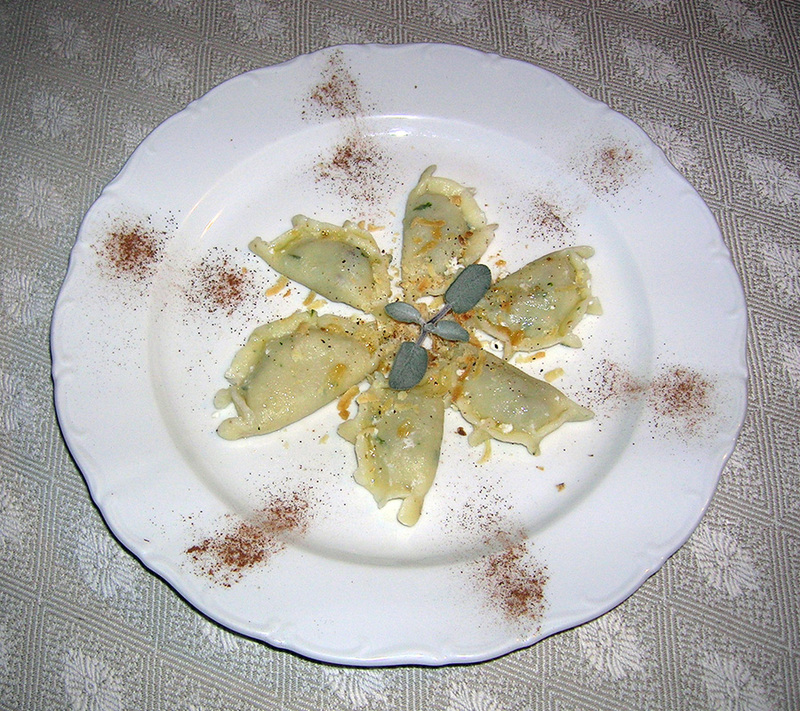 In the kitchen, Silvia and Eliana prepare traditional dishes such as the typical “çjarsons”, ravioli filled with ricotta cheese, spices and raisins and “frico”, the most traditional dish in Carnia. But you can also find new and sophisticated recipes made with fruit and vegetables grown in our kitchen gardens and the flowers and herbs we pick up in the fields.